Government employees not showing up for work is a major problem in developing countries. Chaudhury et al. (2006) provide examples of how stark the problem is – rates of absenteeism for government doctors are 25% in Peru, 37% in Uganda, and 40% in Indonesia. Activated by the urgency of the problem, policymakers are trying a range of innovative solutions, from simply asking teachers to take a picture of themselves in the classroom (Duflo et al. 2012) to remote biometric monitoring stations in India (Dhaliwal and Hanna 2016). Yet, in many cases, such reforms are gradually undone over time (Banerjee et al. 2008, Olken and Pande 2012). This creates a clear problem for policy. How do we get these reforms to stick? We developed a project to try to understand the roots of government absenteeism. Punjab, Pakistan, provided an ideal environment to work on this question for a number of reasons. First, absenteeism is a severe problem – we found 68.5% of doctors to be absent during normal working hours. Second, the government was planning an innovative reform, called the ‘Monitoring the Monitors’ programme. It wanted to provide smartphones to government inspectors in order to geostamp and timestamp their inspections of government clinics. This also allowed for the real-time transmission of data on doctor absence. This reform aimed to provide inspectors with much sharper incentives to complete their monthly quota of inspections. Third, Punjab is a province of over 100 million, providing an opportunity to study the reform at the scale of a large country. We began by informally canvassing a range of policymakers, asking them why they thought this reform might eventually be rendered ineffective. They consistently said “politicians will intervene to protect their people…and they will want to maintain the power to be able to do so”. In Pakistan, it’s no secret that politicians wield their influence over public sector positions as a means of patronage. One practice is to set up doctors in their hometowns, where they have extensive personal networks, so that politicians can exploit those relationships come election season. In exchange, doctors can appeal for protection against suspensions, transfers, and other sanctions for poor performance. This allows doctors to draw a public sector paycheque while moonlighting in a private clinic (Das et al. 2016). To be clear, politicians should have no formal authority over the posting of doctors to clinics or the punishment of doctors. Officially, this is a purely bureaucratic function. Yet, the problem is pervasive – in our study we found bureaucrats experience an average of two instances per year of politicians interfering with their attempts to sanction employees. Indeed, 44% of senior health bureaucrats report this experience. Following this idea, we found that a substantial qualitative literature in political science describes the same phenomena during an earlier period of political development in developed countries (Sorauf 1956, Wilson 1961, Johnston 1979, Chubb 1983, Calvo 2004, Meyer-Sahling 2006, Kitschelt 2007). The literature puts a finer point on the idea. Government jobs are an ideal source of patronage; they can be targeted to individuals, provide a credible stream of benefits, and the terms of the job – such as the wage, posting, and reporting requirements – can be influenced by politicians (Robinson and Verdier 2013). Indeed, the etymological origin of the term for such positions – ‘sinecure’ – has its origins in the medieval church, where it signified a position without (sine) the care (cara) of souls, and described positions that involved little or no actual work, often given out for political reasons. Guided by our interviews with policymakers and the rich historical literature, we set out to test the jobs-as-patronage explanation for high rates of government absence in the context of an at-scale experimental evaluation of the Monitoring the Monitors smartphone programme. An advantage of our experiment is that it took place across 240 parliamentary constituencies, providing substantial variation in underlying political dynamics. The Monitoring the Monitors reform aimed to increase the flow of information between different tiers of the healthcare bureaucracy in Punjab. The bureaucracy has three essential tiers. On top, you have 36 senior health officials, or Executive District Officers. Reporting to the senior health officials are the Deputy District Officers. These are the inspectors who would carry smartphones as part of the Monitoring the Monitors programme. These inspectors pay monthly visits to every clinic in their jurisdiction to measure worker attendance, and then report the results back to the senior health officials. Traditionally, this is done by aggregating paper inspection forms, which is inaccurate and inefficient, and creates a natural barrier to effectively monitoring doctor attendance. Inspection rates prior to the programme were dismal. Even though each clinic should be inspected monthly, only 24.2% of clinics had received an inspection in the prior month. The underlying problem solved by introducing smartphones for inspectors is simple, but a common one for government agencies. Auditors need regular information from facilities that are spread over a vast geographic area. There are 2,496 clinics in Punjab, spread over a 79,284 square miles (an area roughly the size of Great Britain). To improve the flow of information, our team worked with the Punjab Department of Health and the Punjab Health Sector Reforms Project to embed a new Android-based smartphone application within the existing monitoring workflow in a randomly-chosen half of the 35 districts in Punjab. 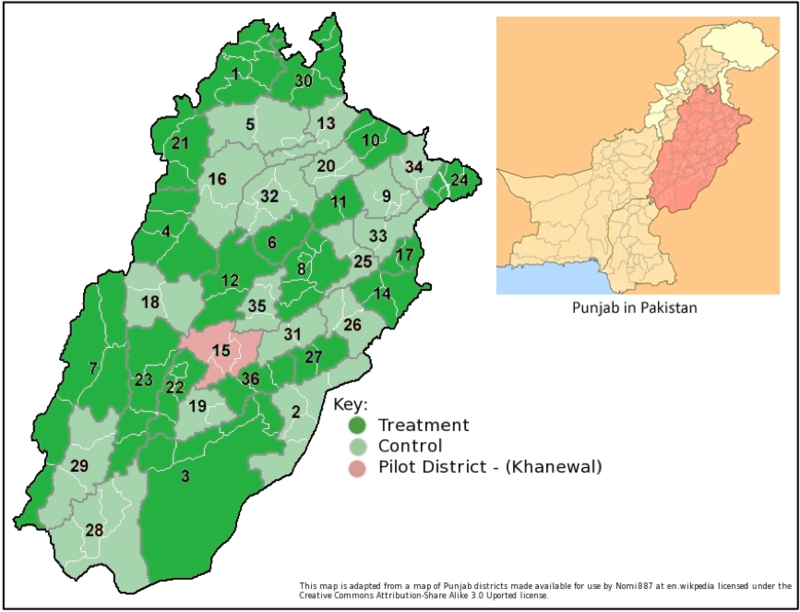 Figure 1 maps the treatment and control districts. Data collected via the smartphone are transmitted instantly to a central online dashboard. This dashboard provides senior health officials with real-time and easy to comprehend summary statistics, charts, and graphs. Figure 2 provides an example. Data on election outcomes from the 240 political constituencies where the experiment took place. The good news is that the share of clinics in the sample that were inspected monthly rose from 24.2% to 42.6% after the smartphone application was implemented, though this attenuated over time. And while this was encouraging, the evidence is mixed on whether the added scrutiny is enough to encourage doctors to attend work. There is no average effect on doctor attendance. Four pieces of evidence support the jobs-as-patronage explanation for the persistence of public sector absence. First, our interviews with senior health officials and with inspectors make it clear that interference by politicians is routine in bureaucratic work. Second, simply examining differences in attendance between clinics close to opposite sides of constituency boundaries, we find that attendance is much lower in clinics where politicians win by large margins. We find that doctor attendance increases by about 20.8 percentage points, moving from a constituency completely captured by one party to a constituency where all parties receive an identical share of the vote. Third, the Monitoring the Monitors programme worked best towards raising doctor attendance in politically competitive districts. We find that the increase in inspections resulting from the programme raised doctor attendance by about 10.2 percentage points. Fourth, our project also allowed us to test how senior officials respond to reports of absence transmitted via the smartphone system. We manipulated the salience of doctor absence in online data visualisations by selecting an arbitrary threshold at which clinics are flagged as suffering from low attendance. Figure 3 provides evidence of facilities flagged on the dashboard as underperforming. To our knowledge, this constitutes the first experimental test of whether providing data to policy actors changes their behaviour. Flagging a clinic in red increases subsequent doctor attendance by 27 percentage points. In the most competitive third of constituencies, flagging a clinic increases subsequent attendance by 32 percentage points, and has no apparent effect in the least competitive tercile. Our study has a number of implications. First, a substantial recent body of empirical research examines reforms aimed at making states more effective. However, such reforms necessarily take place in a political context, and politicians may be particularly interested in retaining de facto control of the incentives public employees face. In our setting, it appears that politicians intervene to change the incentives of public employees. Our results also contribute to a growing literature that highlights the potential for technological solutions to large public sector problems, especially when institutionalised and implemented at scale. We show that simple automation of data collection and aggregation through smartphones can have a substantial impact. 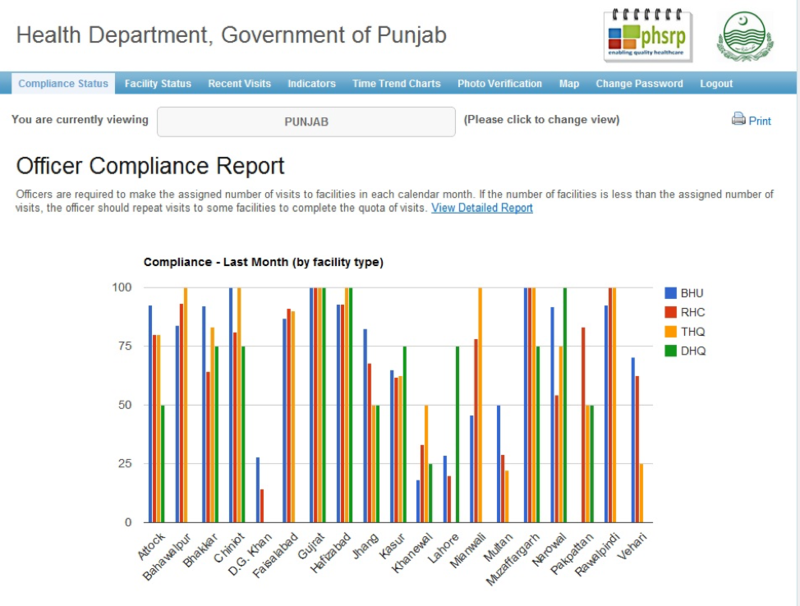 Smartphone monitoring nearly doubled inspections at public clinics across Punjab. Subsequently, the Monitoring the Monitors programme has been rolled out to the entire province of Punjab by the highly active Punjab Information and Technology Board, and is replicated in several sectors in the province including education, vaccinations, police, road rehabilitation, and sanitation. Finally, to our knowledge, this is the first experiment to directly test whether evidence can impact policy decisions. 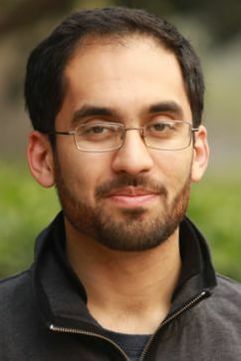 International donors and other policy actors increasingly encourage the use of data and evidence in the design of policy, yet little is known about whether providing data to policymakers has any impact. The results from the information salience experiment highlight how presenting data in an actionable format to senior bureaucrats can help reduce absenteeism. Editors' note: This column first appeared on VoxEU.org in August 2016. Banerjee, A V, A Deaton and E Duflo (2004) “Wealth, health, and health services in rural Rajasthan”, American Economic Review, 94(2): 326–330. 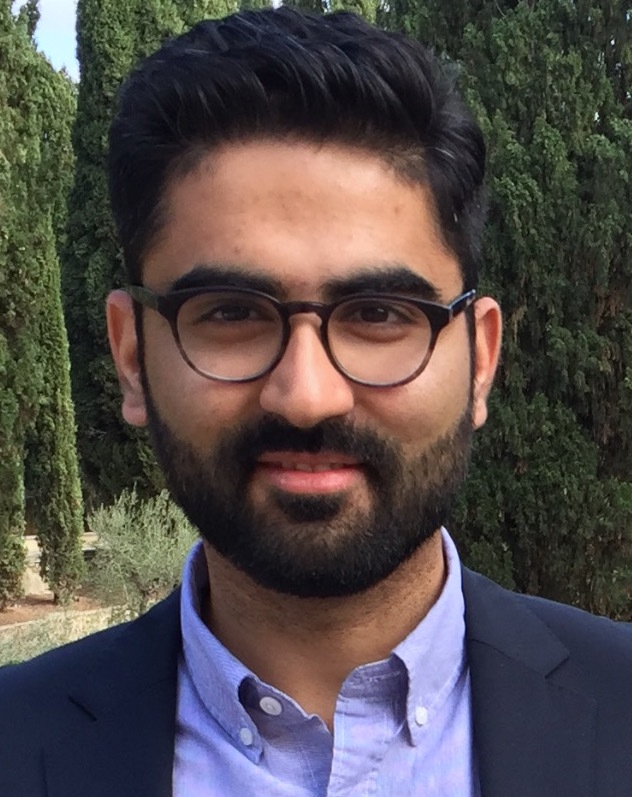 Banerjee, E D and R Glennerster (2008) “Putting a band-aid on a corpse: Incentives for nurses in the Indian public health care system”, Journal of the European Economic Association, 6(2-3): 487–500. Calvo, E and M V Murillo (2004) “Who delivers? Partisan clients in the Argentine electoral market”, American Journal of Political Science, 48(4): 742–757. Chaudhury, N, J Hammer, M Kremer, K Muralidharan and F H Rogers (2006) “Missing in action: Teacher and health worker absence in developing countries”, Journal of Economic Perspectives, 20(1). Chubb, J (1983) Patronage, power and poverty in southern Italy: A tale of two cities, Cambridge Studies in Modern Political Economies, Cambridge University Press, 1983. Das, J, A Holla, A Mohpal and K Muralidharan (2016) “Quality and accountability in healthcare delivery: Audit-study evidence from primary care in India”. 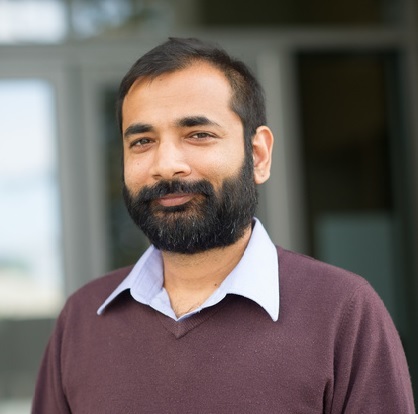 Dhaliwal, I and R Hanna (2014) “Deal with the devil: The successes and limitations of bureaucratic reform in India”, NBER, Working Paper 20482. Duflo, E, R Hanna and S P Ryan (2012) “Incentives work: Getting teachers to come to school”, The American Economic Review, 102(4): 1241-1278. Gulzar, S and B Pasquale (2016) “Politicians, bureaucrats, and development: Evidence from India,” 2016. Kitschelt, H and S I Wilkinson (2007) Patrons, clients and policies: Patterns of democratic accountability and political competition, Cambridge University Press. Kremer, M, N Chaudhury, F H Rogers, K Muralidharan and J Hammer (2005) “Teacher absence in India: A snapshot”, Journal of the European Economic Association, 3(2-3): 658–667. Olken, B and R Pande (2012) “Corruption in developing countries”, Annual Review of Economics, 4: 479–505. Meyer-Sahling, J-H (2006) “The rise of the partisan state? Parties, patronage and the ministerial bureaucracy in Hungary”, Journal of Communist Studies and Transition Politics, 22(3): 274–297. Robinson, J A and T Verdier (2013) “The political economy of clientelism”, Scandinavian Journal of Economics, 115(2): 260–291. Sorauf, F J (1956) “State patronage in a rural county”, American Political Science Review, 50(4): 1046–1056. Wilson, J Q (1961) “The economy of patronage”, Journal of Political Economy, 69(4): 369–380. Johnston, M (1979) “Patrons and clients, jobs and machines: A case study of the uses of patronage”, The American Political Science Review, 73(2): 385–398.